This is a perfect recipe for hectic weeknights when you are running kids to and fro and don’t have much time. Hope your family enjoys it! 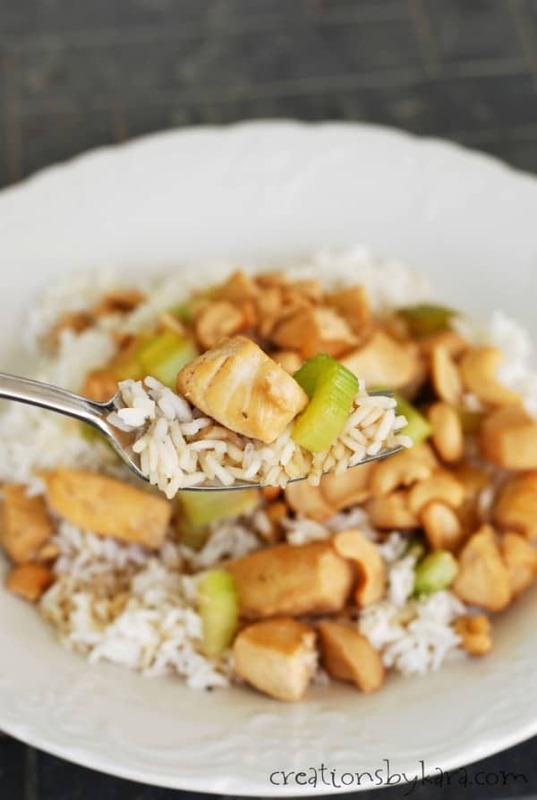 Cook cubed chicken in a skillet with the oil till golden brown and cooked through. Set aside. Add celery and onion to the pan and cook for 3-4 minutes, or till crisp tender. Add chicken back into the pan. Mix soy sauce, sugar, and water and add to pan. Cook for about 2-3 minutes. 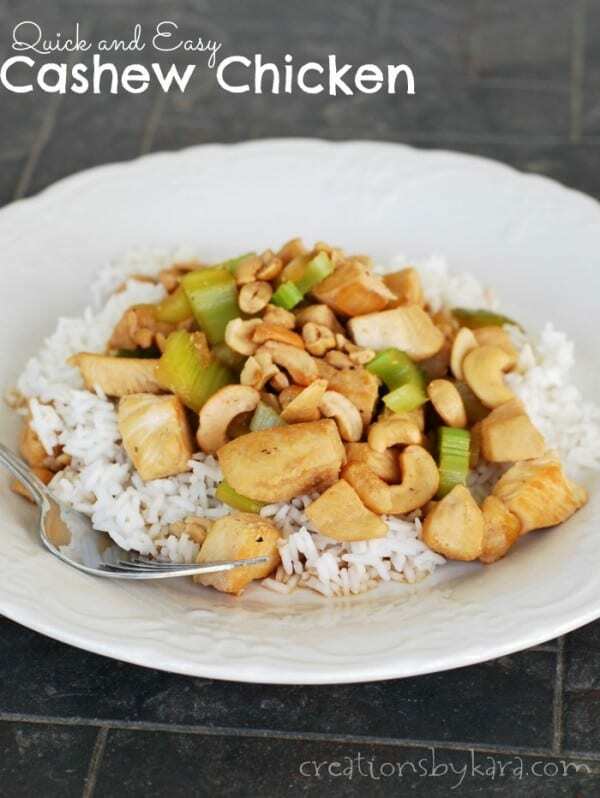 Serve with rice, and top with cashews.